This was the first career save for Gant, and he likely won't be in line for many more in St. Louis. 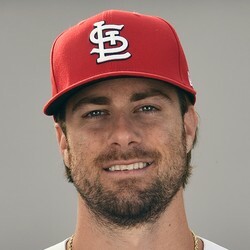 The Cardinals had burned through the majority of their bullpen thanks to a truncated outing from Adam Wainwright, so by the time the 11th inning rolled around there weren't many other options for Mike Schildt. Gant has little to no fantasy value.